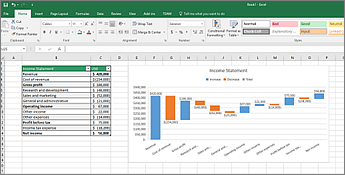 This topic gives you step-by-step instructions to make your Excel spreadsheets accessible to people with disabilities. 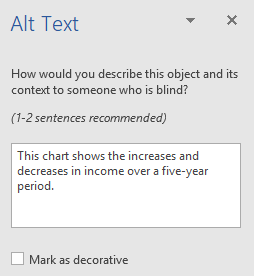 People who are blind or have low vision can understand your data more easily if you create your Excel workbooks and charts with accessibility in mind. The following table includes key best practices for creating Excel spreadsheets that are accessible to people with disabilities. Include alternative text with all visuals. Visual content includes pictures, SmartArt graphics, shapes, groups, charts, embedded objects, ink, and videos. 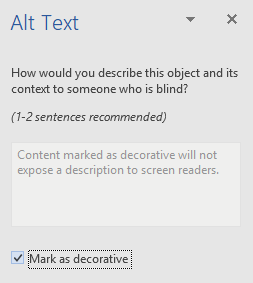 To find all instances of missing alternative text in the spreadsheet, use the Accessibility Checker. 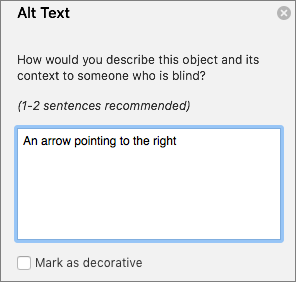 Alt text helps people who can’t see the screen to understand what’s important in images and other visuals. Avoid using text in images as the sole method of conveying important information. If you must use an image with text in it, repeat that text in the document. In alt text, briefly describe the image and mention the existence of the text and its intent. Add meaningful hyperlink text and ScreenTips. To determine whether hyperlink text makes sense as standalone information and whether it gives readers accurate information about the destination target, visually scan the workbook. People who use screen readers sometimes scan a list of links. Links should convey clear and accurate information about the destination. For example, instead of linking to the text Click here, include the full title of the destination page. Tip: You can also add ScreenTips that appear when your cursor hovers over a cell that includes a hyperlink. To find insufficient color contrast, use the Accessibility Checker. 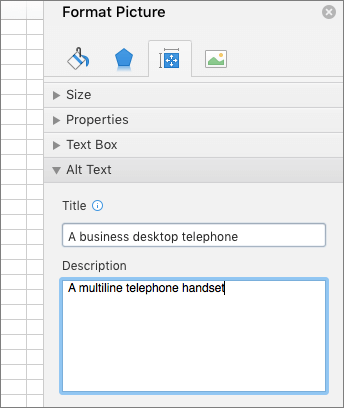 You can also look for text in your spreadsheet that’s hard to read or to distinguish from the background. If your spreadsheet has a high level of contrast between text and background, more people can see and use the content. 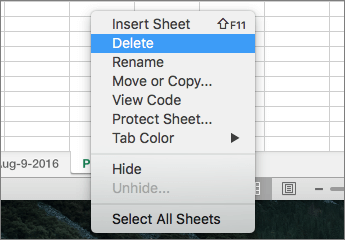 Give all sheet tabs unique names, and remove blank sheets. To ensure that tables don’t contain split cells, merged cells, or nested tables, use the Accessibility Checker. You can also visually scan your tables to check that they don't have any completely blank rows or columns. Screen readers keep track of their location in a table by counting table cells. If a table is nested within another table or if a cell is merged or split, the screen reader loses count and can’t provide helpful information about the table after that point. Blank cells in a table could also mislead someone using a screen reader into thinking that there is nothing more in the table. Screen readers also use header information to identify rows and columns. Tip: To write a good alt text, make sure to convey the content and the purpose of the image in a concise and unambiguous manner. The alt text shouldn’t be longer than a short sentence or two—most of the time a few thoughtfully selected words will do. Do not repeat the surrounding textual content as alt text or use phrases referring to images, such as, "a graphic of" or "an image of." Add alt text to images, such as pictures, screenshots, icons, videos, and 3D models, so that screen readers can read the text to describe the image to users who can't see the image. Right-click an image, and select Edit Alt Text. Select the image. Select Format > Alt Text. The Alt Text pane opens on the right side of the document body. Type 1-2 sentences to describe the image and its context to someone who cannot see it. Tip: To spell check and correct a word you typed, just right-click the word and select from the suggested alternatives. Right-click a shape or SmartArt graphic, and select Edit Alt Text. Select the shape or SmartArt graphic. Select Format > Alt Text. Note: To add alt text to the entire shape or SmartArt graphic, click the border of the shape or SmartArt graphic, and not an individual shape or piece. Type 1-2 sentences to describe the shape or SmartArt graphic and its context to someone who cannot see it. 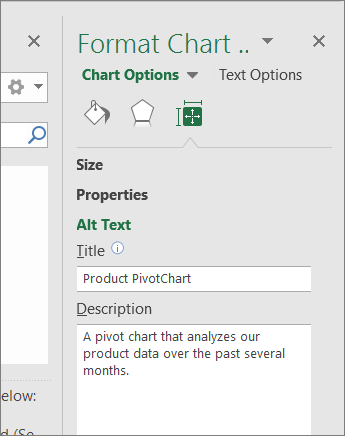 Type 1-2 sentences to describe the PivotChart and its context to someone who cannot see it. If your visuals are purely decorative, such as stylistic borders that add visual interest but aren't informative, you can mark them as such without needing to write any alt text. People using screen readers will hear that these are decorative, so they know they are not missing any important information. When the document is exported to a PDF file, decorative elements will be marked within the PDF file with artifact tags, which are skipped over by screen readers. Select Edit Alt Text. The Alt Text pane opens on the right side of the document body. Select the Mark as decorative text box. The text entry field becomes grayed out. 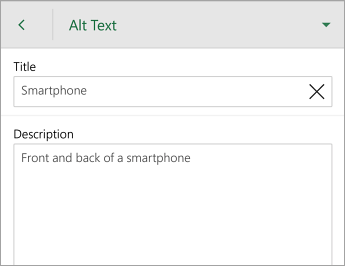 If you don't want to add automatically generated alt texts to inserted pictures, you can turn off the automatic alt text option. If you change your mind later, you can just as easily turn it back on. Select File > Options > Ease of Access. In the Automatic Alt Text section, select or unselect the Automatically generate alt text for me option, and then select OK. Tip: Save time and add an alt text generated by the system to the image. 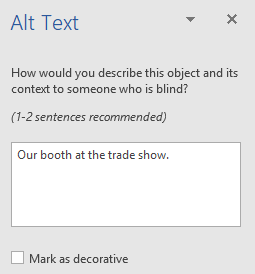 In the Alt Text pane, select Generate a description for me. Then edit the automatic alt text to better suit the content. If your visuals are purely decorative, such as stylistic borders that add visual interest but aren't informative, you can mark them as such without needing to write any alt text. People using screen readers will hear that these are decorative, so they know they are not missing any important information. When the document is exported to a PDF file, decorative elements are marked within the PDF file with artifact tags, which are skipped over by screen readers. Select the Mark as decorative check box. The text entry field becomes grayed out. Note: We recommend only putting text in the description field and leaving the title blank. This will provide the best experience with most major screen readers including Narrator. For audio and video content, in addition to alt text, include closed captioning for people who are deaf or have limited hearing. Add alt text to images, such as pictures and screenshots, so that screen readers can read the text to describe the image to users who can’t see the image. 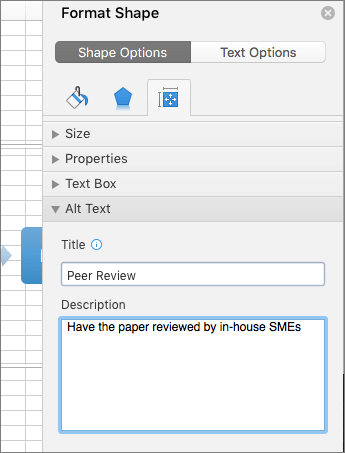 On the Shape Options tab, select Alt Text. Add alt text to shapes, including shapes within a SmartArt graphic. Select Format Chart Area > Chart Options > Size & Properties. The following procedures describe how to make the hyperlinks, tables, and sheet tabs in Excel spreadsheets accessible. ScreenTips are small windows that display descriptive text when you rest the pointer on the hyperlink. Select the cell where you want to add a hyperlink. 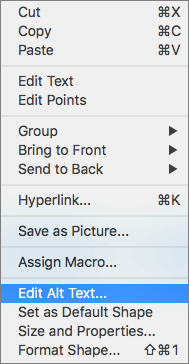 On the Insert tab, select Link. 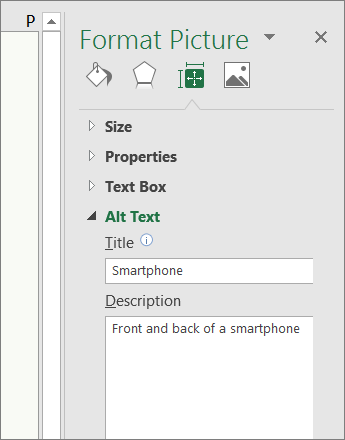 In the Text to display box, the content of the cell you selected is displayed. This is the hyperlink text. To change it, type the new hyperlink text. In the Address box, add the hyperlink URL. Select the ScreenTip button and, in the ScreenTip text box, type the text of the ScreenTip. 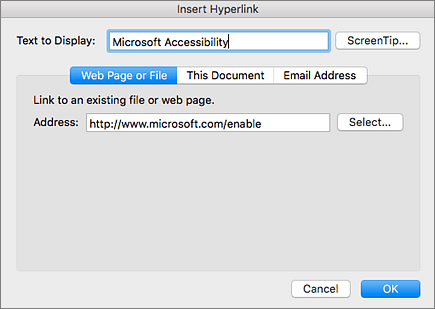 Tip: If the title on the hyperlink's destination page gives an accurate summary of what’s on the page, use it for the hyperlink text. 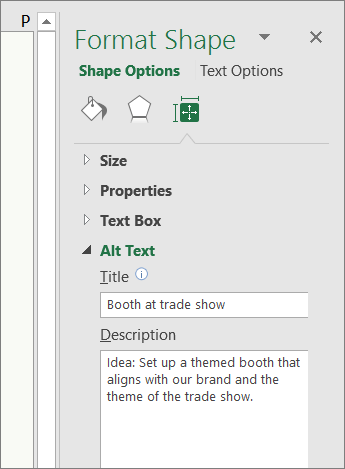 For example, this hyperlink text matches the title on the destination page: Templates and Themes for Office Online. 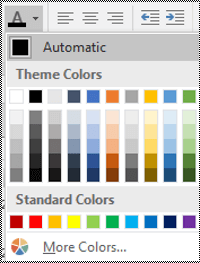 Ensure that the text displays well by using the Automatic setting for font colors. 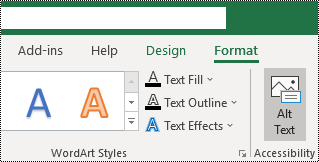 Select the cells that contain text, and then select Home > Font Color > Automatic. Specify a header row in a block of cells marked as a table. Place the cursor anywhere in a table. On the Table Tools Design tab, in the Table Style Options group, select the Header Row check box. 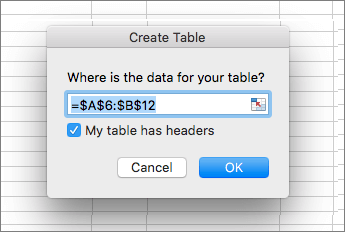 In the Create Table dialog, select the My table has headers check box. 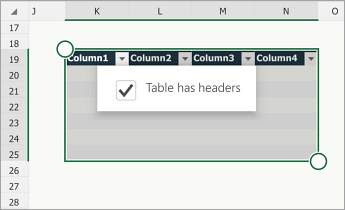 Excel creates a header row with the default names Column1, Column2, and so on. Type a brief, unique name for the sheet, and press Enter. 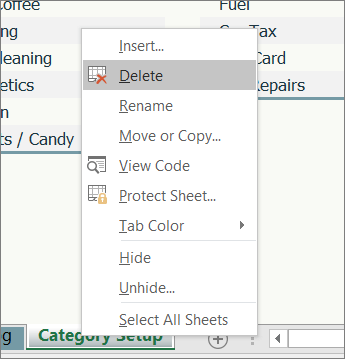 Right-click a sheet tab, and select Delete. In the confirmation dialog, select Delete. To determine whether hyperlink text makes sense as standalone information and whether it gives readers accurate information about the destination target, visually scan the sheets in your workbook. Note: For audio and video content, in addition to alt text, include closed captioning for people who are deaf or have limited hearing. Right-click an image. Select Edit Alt Text…. Select an image. Select Picture Format > Alt Text. 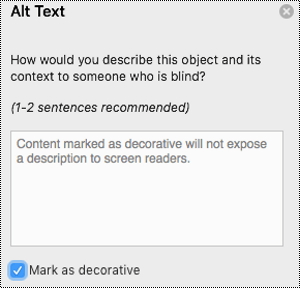 The Alt Text pane opens. Tip: To spell-check the word you just typed, right-click the word and select an option from the list. Right-click a shape. Select Edit Alt Text…. Select a shape. Select Shape Format > Alt Text. Type 1-2 sentences to describe the shape and its context to someone who cannot see it. Right-click a SmartArt graphic. Select Edit Alt Text…. Select a SmartArt graphic. Select Format > Alt Text. Type 1-2 sentences to describe the SmartArt graphic and its context to someone who cannot see it. In the PivotTable Options... dialog, select Alt Text. 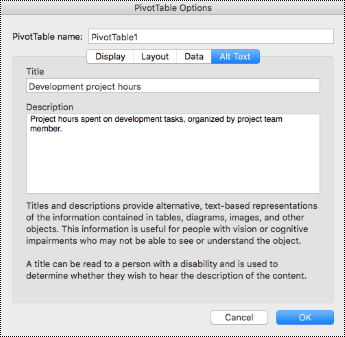 In the Alt Text tab, type a title for the PivotTable in the Title text box. 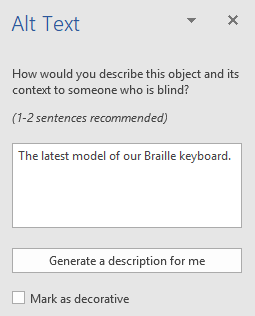 In the Description text box, type 1-2 sentences to describe the table and its context to someone who cannot see it. Once you're done, select OK. If your visuals are purely decorative and add visual interest but aren't informative, you can mark them as such without needing to write any alt text. Examples of objects that should be marked as decorative are stylistic borders. People using screen readers will hear that these objects are decorative so they know they aren’t missing any important information. Right-click a visual. Select Edit Alt Text…. Select a visual. 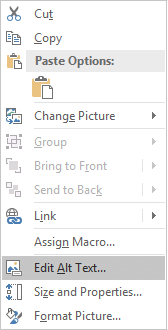 Select the Format tab for the visual > Alt Text. Tip: If you have several decorative items, you can edit them in a batch. Select them all, open the Alt Text pane, and click Decorative. Tip: You have to right-click somewhere inside the frame that surrounds the entire chart, not inside one of its parts. Tip: If you have several decorative items, you can edit them in a batch. Select them all, open the Alt Text pane, and click Mark as decorative. Add alt text to images, such as pictures, and screenshots, so that screen readers can read the text to describe the image to users who can’t see the image. Select Format Picture > Size & Properties. Select Format Shape > Shape Options > Size & Properties. 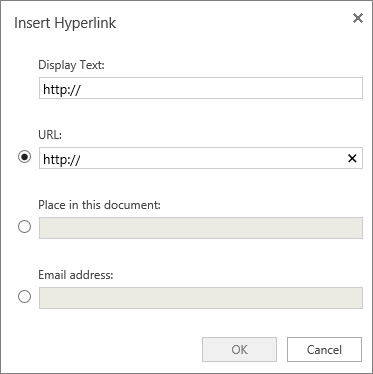 In the Text to display box, type the hyperlink text. In the Address box, type the destination URL. Position the cursor anywhere in a table. On the Table tab, select the Header Row check box. Give all sheet tabs unique names. The following procedures describe how to make the tables and sheet tabs in your Excel spreadsheets accessible. To open the Table tab, at the bottom of the screen, at the end of the toolbar, tap the More icon. To select the Header Row option, tap it. In your table, type column headings. 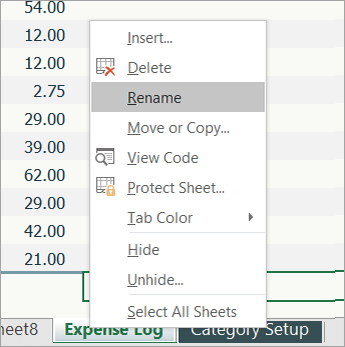 To replace the selected sheet name, type a brief, unique name for the sheet. The following procedures describe how to add alt text to visuals in your Excel spreadsheets. Add alt text to images such as pictures and screenshots so that screen readers can read the text to describe the image to users who can’t see the image. To open the Picture tab, at the bottom of the screen, at the end of the toolbar, tap the up arrow. Scroll down to the Alt Text command, and then tap it. Type a description and a title. Your changes are automatically saved. 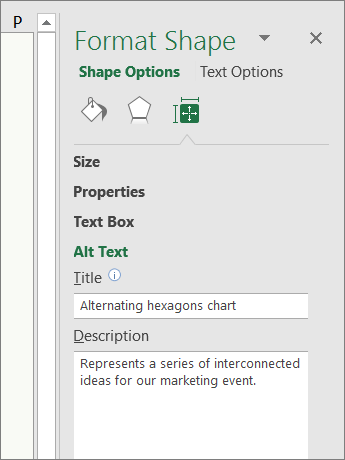 Add alt text to shapes including shapes within a SmartArt graphic. To open the Shape tab, at the bottom of the screen, at the end of the toolbar, tap the up arrow. To open the Chart tab, at the bottom of the screen, at the end of the toolbar, tap the up arrow. To open the Table tab, at the bottom of the screen, at the end of the toolbar, tap the down arrow. 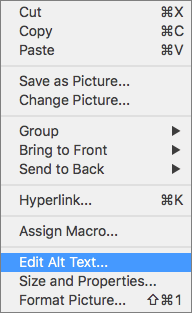 Tip: When the option is selected, it’s gray. Highlight the cells you want to include in the table. To open the Home tab, at the bottom of the screen, at the end of the toolbar, tap the up arrow. 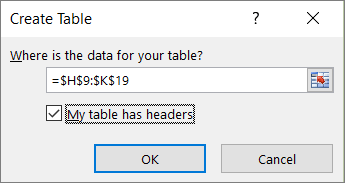 Select the Table has headers check box. Tap and hold a sheet tab, and select Rename. To open the Insert tab, tap the More options icon at the bottom right corner of the screen, and then tap Home > Insert. Tap the Table option to turn the selected cells into a table. Place the focus on any cell in a table. To open the Table tab, tap the More options icon at the bottom right corner of the screen. In your table, type the column headings. 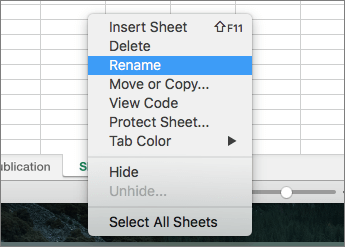 Tap and hold a sheet tab, and then select Rename. The following table includes key best practices for creating Excel Online spreadsheets that are accessible to people with disabilities. 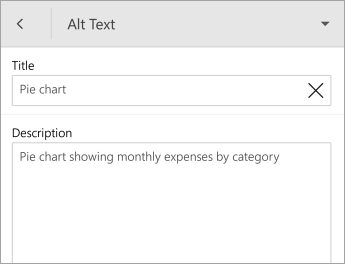 Use the Accessibility Checker to find instances of missing alternative text in the spreadsheet. 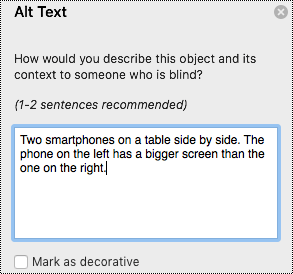 Alt text helps people who can’t see the screen to understand what’s important in tables. Avoid using text in tables as the sole method of conveying important information. In alt text, briefly describe the contents of the table and its intent. 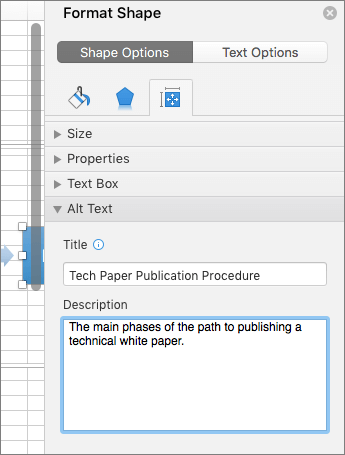 Read the names of the sheet tabs in your workbook, and verify that each sheet has content. 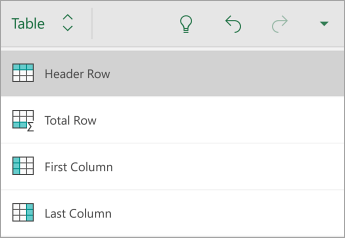 Use the Accessibility Checker to ensure that tables don’t contain split cells, merged cells, nested tables, or completely blank rows or columns. Screen readers keep track of their location in a table by counting table cells. If a table is nested within another table or if a cell is merged or split, the screen reader loses count and can’t provide helpful information about the table after that point. Blank rows and columns in a table could also mislead someone using a screen reader into thinking that there is nothing more in the table. The following procedures describe how to add alt text to images and charts in your Excel Online spreadsheets. 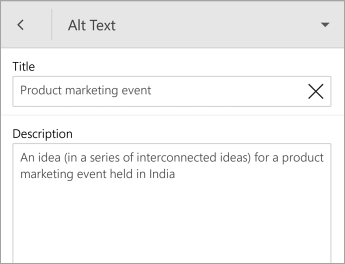 To add alt text to tables, use a desktop version of Excel. Note: We recommend only putting text in the description field and leaving the title blank. This will provide the best experience with most major screen readers including Narrator. 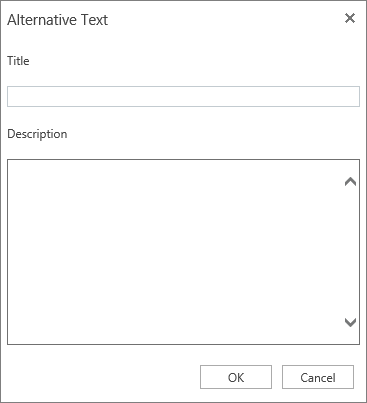 Right-click the image, and then select Alt Text to open the Alternative Text dialog box. Revise the text in the Description text box. 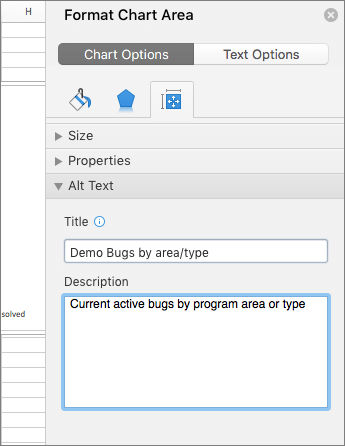 Right-click the chart, and then select Alt Text to open the Alternative Text dialog box. Add text in the Description text box. The following procedures describe how to make the hyperlinks, tables, and sheet tabs in Excel Online spreadsheets accessible. In URL, type or paste the address. In Place in this document, type the location of the cell you want to link to. For example, A6. In Email address, type the email address in the format of someone@example.com. 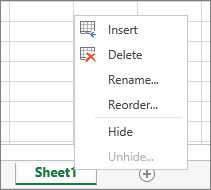 Select OK. Excel Online creates a header row with the default names Column1, Column2, and so on. 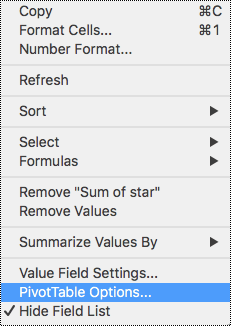 Note: Use these same steps to add a header to cells in an existing table. Select Save As, and then type a name for the file. Create a name that provides a hint about what kind of data the file contains. If possible, include the date as part of the name. 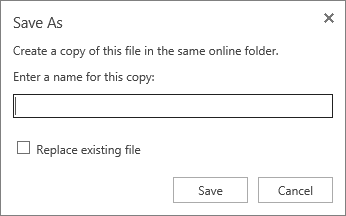 (Optional) Select the Replace existing file check box. Note: If you want to rename a file, select Rename, type the name for the file, and select OK. Type a brief, unique name for the tab that's descriptive of its contents.